LAS VEGAS, NV — The crew at BluePrint Engines invited our friends at Summit Racing into their booth exhibit at the 2018 SEMA Show for a quick tour of their newest engine configurations for 2019. One of the coolest things BluePrint does, in addition to their 30-month, 50,000-mile warranty on each engine assembly they sell is that the company dyno tests EVERY individual engine they sell, and include the certified dyno sheets of the exact engine you’re buying. BluePrint Engines made two versions of the LS3 376. One makes 495 horsepower and 470 foot-pounds of torque and, fully dressed, will cost you about $7,000. 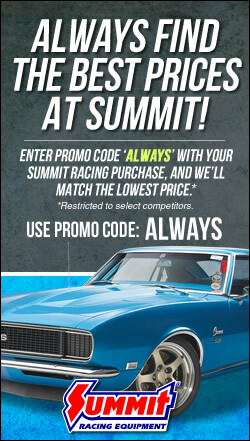 For $800 more, BluePrint also offers a version of the LS3 that makes 530 hp and 495 ft.-lbs. of torque. The engine is constructed from a new GM 6.2L block, BluePrint aluminum heads, electronic fuel injection system, hydraulic roller cam, roller lifters, a harmonic balancer, aluminum valve covers, oil pan, aluminum intake manifold, coil packs, and new spark plug wires. Small Block Ford – 306 c.i.d. BluePrint is launching a new Bronco Series engine program for 2019. These 306 small block Fords are built specifically to fit inside of a Ford Bronco, including the correct oil pan and a small cap distributor. BluePrint has eliminated all of the common clearance issues you might find when swapping a new powerplant into a Bronco. We think it’s cool. Big Block Chevy – 632 c.i.d. Sold as a long block. 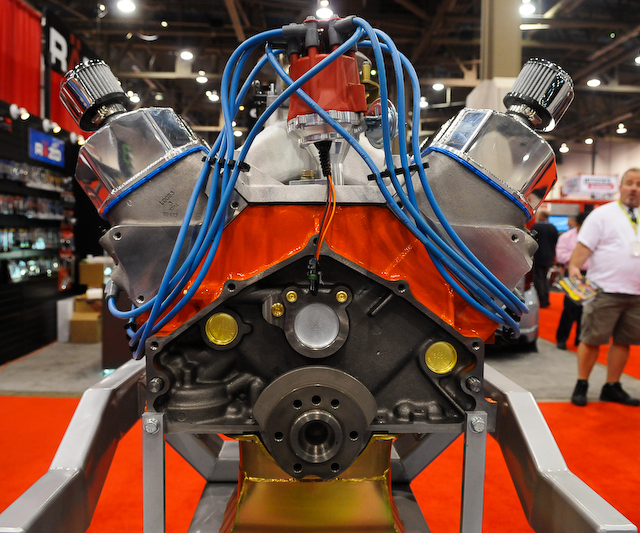 The BluePrint guys say it makes 815 hp, and is totally streetable thanks to the Holley Sniper EFI perched on top. Awesome! Im was on the fence between rebuilding an old mk iv 454 or a new engine. Not anymore! Whats your price for a complete 454 for a 1988 GMC 350 eng replacement.